Dara Ó Briain urges local authorities & communities to rally together & save their local theatres. Today, Theatres Trust launched the Theatres At Risk Register 2018. The register, now in it's 11th year, raises awareness of the 35 theatre buildings across Scotland, England, & Wales that are most at risk of being lost. 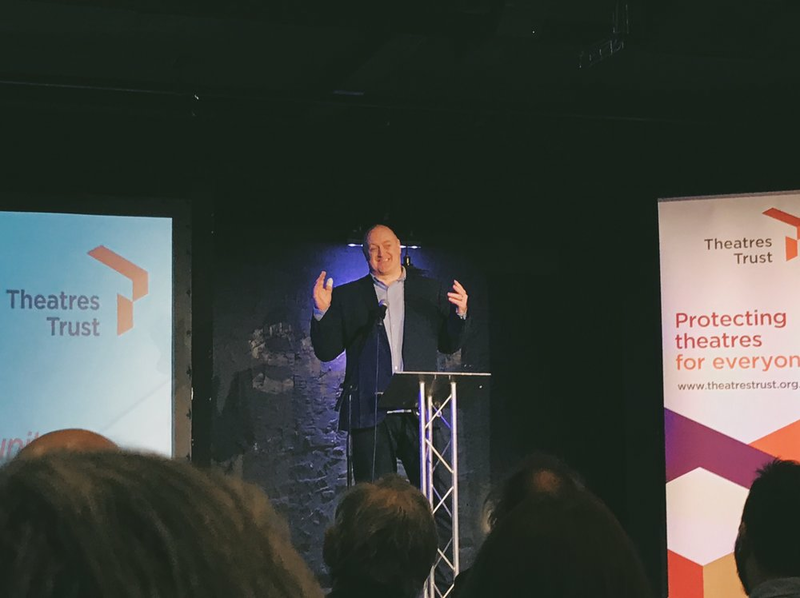 The 2018 Register, which was launched at the Soho Theatre, London, saw Theatres Trust Trustee, comedian Dara Ó Briain lending his support. Today we saw @TheatresTrust trustee Dara O Briain launch the Theatres at Risk Register 2018. There are 35 buildings across England, Scotland and Wales on the register. Theatres can be at risk from; loss of funding, lack of maintenance, or neighbouring development. Theatres Trust place buildings on the register which have potential for a sustainable future as a working performance space. These theatres are assets to their local community; as economic drivers & place makers. Learn more about the Theatres at Risk Register on the Theatres Trust website here or in twitter using #Theatresatrisk. Digital Exports Survey - Creative Industries Federation are collecting data on digital exports. Lobbying (Scotland) Act - What it means for your organisation.